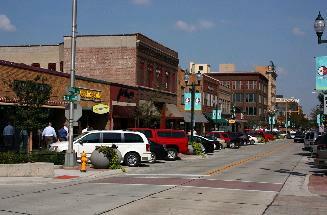 SIOUX FALLS, S.D. - Commercial construction climbed to another record-breaking year in Sioux Falls. Building permits issued in 2017 for commercial projects reached $739 million. City leaders say it's the fifth year in a row that construction has reached record-breaking levels. The city's biggest project last year was the Win Chill building at Foundation Park, a refrigerated food warehouse with a price tag of nearly $33 million. The contractor, Gil Haugan Construction, is also working on a number of other projects in the city, including Lewis Drug and Pave patio where the Copper Lounge once stood. The Argus Leader says nine other projects in Sioux Falls ranged from $25 million to $10 million.